A perfect gift for Dads, Grandads and boyfriends who are King of the BBQ This classy canvas BBQ tool set makes the perfect gift for those who enjoy cooking al fresco. 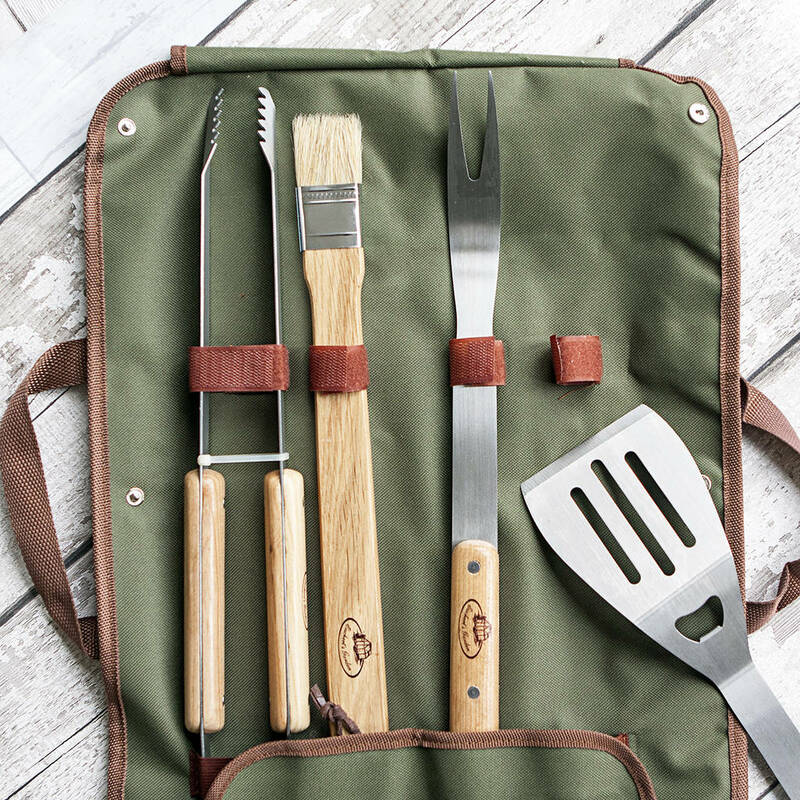 This BBQ tool set is perfect the summer and comes with tongs, a meat brush, spatula with bottle opener and a pronged fork. 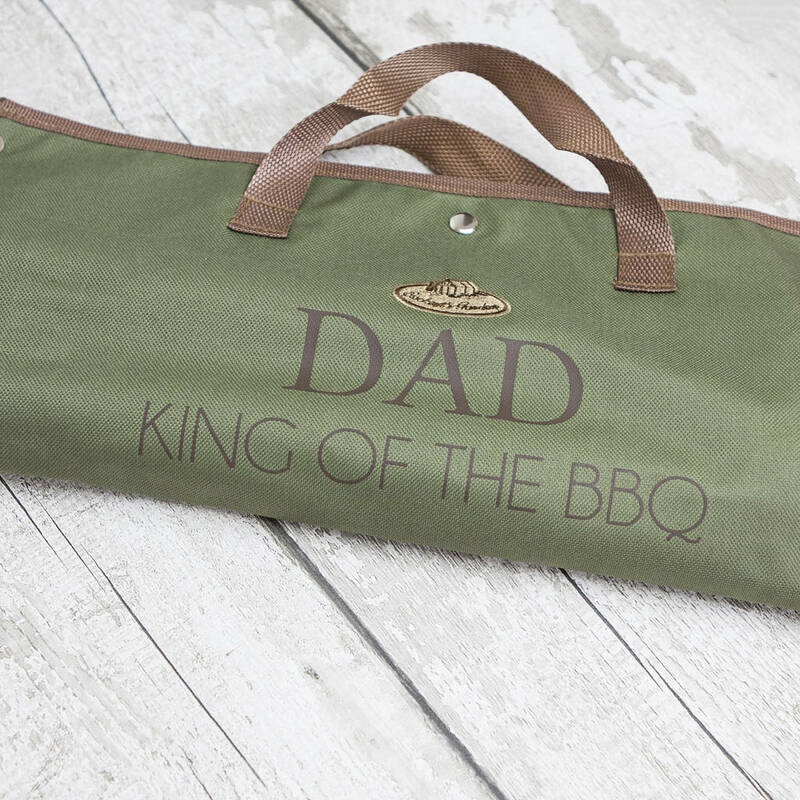 To make it that bit more special the front of the case is personalised with the wording of your choice. 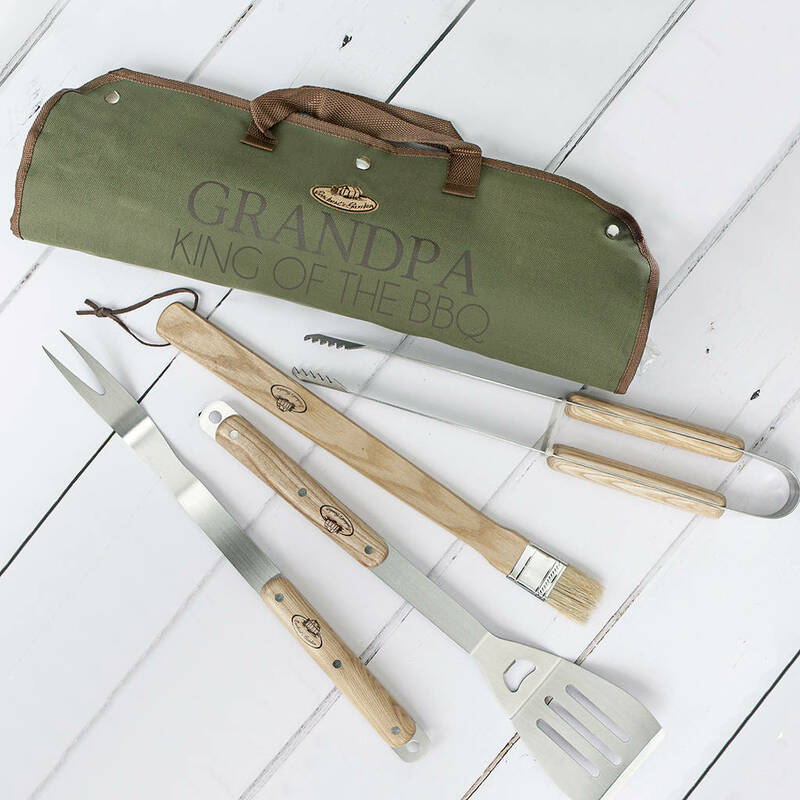 This bbq tool set makes the ideal unique gift for this Father's Day! 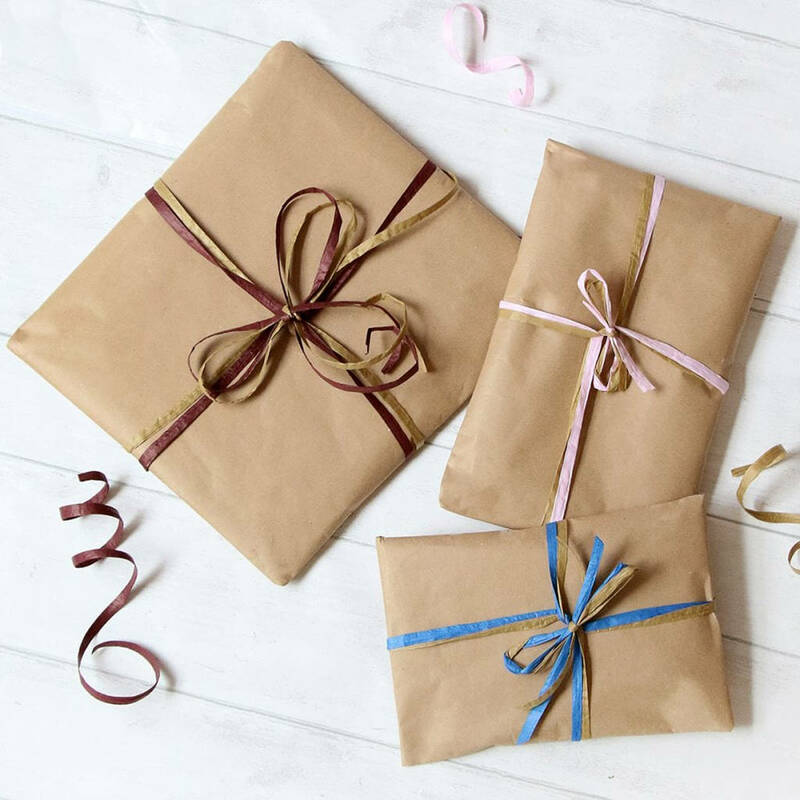 You can have 2 lines of text to personalisation. Text line 1 is up to 20 characters and text line 2 is 20 characters. 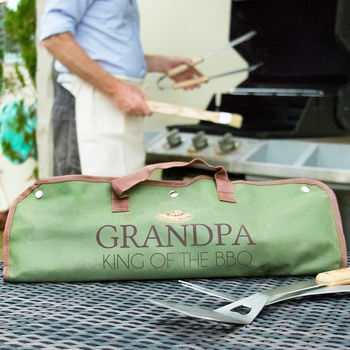 The personalisation is printed in a brown textile film.